Garmin unveiled no less than six new sat-nav models in its Navigator Nüvi series at the CeBIT show in Hannover last week. It said that from now on it would divide its devices into entry-level and pro models. Garmin showed off the Nüvi 200, Nüvi 250 and Nüvi 270, Nüvi 600, Nüvi 650, and Nüvi 660FM at CeBIT. 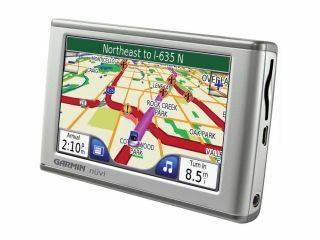 The latter three all feature 4.3-inch screens, and the Garmin Navigator Nüvi 660FM boasts an integrated FM transmitter. This enables the 660FM to transmit directions and phone calls via Bluetooth through your car stereo, which can also be used to playback MP3 files stored on the device. The Garmin Navigator Nüvi 660FM comes with an integrated traffic receiver that will alert drivers to traffic congestion, as well as wireless Bluetooth capabilities that enables drivers to make hands-free mobile phone calls. It will cost £399. Garmin also added the Navigator Nüvi 600 and the Navigator Nüvi 650 to its range, although the former will only be available in Europe. The Navigator Nüvi 650 comes with preloaded maps of 30 countries in Europe and North America. The Nüvi 600 is priced at £269, and the Nüvi 650 will cost £339. The company also showed off new entry-level satnav kits. The Navigator Nüvi 200 , Navigator Nüvi 250 , and Navigator Nüvi 270 all feature a 3.5-inch touchscreen, SD memory card slot and the PIN code-protected Garmin Lock system - this prevents someone else from using your satnav should it be stolen. The entry-level models all feature a built-in picture viewer, calculator, currency converter, unit converter and world clock. Optional packages such as language and travel guides, plus bilingual dictionaries and restaurant reviews are also available. The Navigator Nüvi 200, Navigator Nüvi 250, and Navigator Nüvi 270 will cost £169, £200 and £270 respectively. They come with regional, European or international mapping which includes Europe and North America.